Honda Civic 1.0 VTEC Turbo 126 EX 5dr [Tech Pack] 2019 Review | What Car? What Car? will save you at least £2,670, but our approved dealers could save you even more. 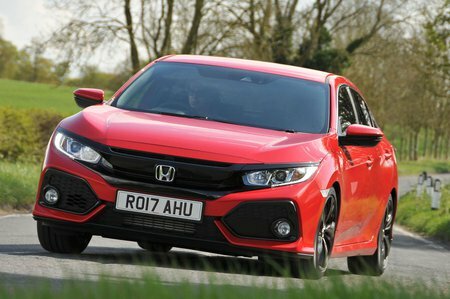 The Honda Civic is good to drive, has a big boot and comes with lots of standard kit. It still can’t match the Volkswagen Golf in terms of performance, handling or refinement, but the Civic offers a generously sized boot, good selection of technology and competitive servicing packages. It’s a shame the infotainment system is so poor, though. EX trim adds extra safety kit including blindspot monitoring, plus you also get keyless entry and start, leather seats, adaptive dampers, passenger seat lumbar adjustment and a sunroof.